When you're right you're right: "These are the best and brightest of their societies in many ways"
"These are the best and brightest of their societies in many ways"
"Poverty is the root cause of terrorism." That is the everpresent refrain heard from liberal/left circles. Until we defeat poverty, they claim, the world will always be plagued with terrorism. Until recently, I cautiously believed this statement. Though certainly no liberal, even I could see that the source of almost all terrorism in the world--the Muslim World--is predominately poor and unquestionably miserable. It doesn't take a stretch of the imagination to imagine a destitute young man, lacking hope for the future, strapping on a suicide vest and blowing up an Israeli bus. One reason that I always resented this statement, however, was because it allowed liberals/leftists to claim that they are the ones who are really concerned with winning the War on Terror, when it seems plain as day to me that they couldn't care less. They could confidently state they are absolutely against terrorism, but simply have a different plan for defeating it. Their plan usually involves socialist policies that have always made the people poorer wherever they have been tried, and the throwing open of the doors of the US Treasury to the world. It shouldn't surprise me, because that's their solution to just about everything. Secondly, I resented liberals/leftists and their "different approach", because I knew that the economic approach and the military approach are not mutually exclusive. We can do both. We can improve the life of the average Middle Easterner while at the same time ferreting out al-Qaeda members wherever they hide. We can provide food and medicine to the people as we did in Afghanistan, and still find time to put terrorists in body bags. It's not one or the other, it's both. To be sure, changing the dynamic of the Muslim World has always been our goal. Those who believe that the Bush Administration's policy in the War on Terror is as simple as "let's just kill all the terrorists" are tragically uninformed. The policy is a lot like "The Domino Theory" of yesteryear. During the Vietnam War, US State Department officials coined the term, meaning that losing Vietnam to the Communists would result in losing the rest of Southeast Asia as well. They would tumble, one after another, into the arms of the Soviets and the Chinese. As Vietnam dragged on, critics of the war scoffed at the Domino Theory, saying that it would prove false in the end, and it was a flimsy excuse to continue fighting a war that was, in their opinion, immoral and unwinnable. The State Department's theory was eventually vindicated. The fall of South Vietnam led directly to the seduction of Laos and Cambodia into the communist camp. What happened in Cambodia under Pol Pot was a nightmare that I have a hard time even imagining. To this day, Vietnam and Laos are communist states and brutal dictatorships. But the dominoes can fall both ways, and eventually they would. The whole communist system in Europe collapsed, domino after domino, between the fall of the Berlin Wall in November 1989, and the collapse of the mother of all communist states--the USSR--in December 1991. Poland was a catalyst. Its Solidarity Movement of the 1980's was a thorn in the side of Communism. The Poles were notoriously restless, and usually the most resistant to edicts coming from Moscow. They were an embarrassment to a system that purported to provide a "worker's paradise". Poland made her neighbors nervous. East German dictator Erich Honecker once remarked to his secret police chief, Erich Mielke, "one could not completely dismiss the possibility that the Polish germ could spread to East Germany." The "germ" he was referring to was freedom. Whether the Domino Theory is applicable to the Muslim World remains to be seen. There is evidence that it is working already--election reforms in Egypt and the expulsion of Syrian troops from Lebanon to quote two examples. So we are trying to attack "the root cause" of terrorism. As then National Security Advisor, Condoleezza Rice said to Congress, "It's not that Saddam was somehow himself and his regime involved in 9-11, it is the rise of ideologies of hatred that lead people to drive airplanes into buildings in New York ... and Iraq is a central front, because, if and when, and we will, we change the nature of Iraq to a place that is peaceful and democratic and prosperous in the heart of the Middle East, you will begin to see change in the Middle East." Iraq is the first of the dominoes. But in order to combat poverty, we have to get rid of the thugs in power. Dictators and prosperity are completely incompatible, and one never exists alongside the other. So while the Left accuses President Bush of "not going to the root cause of terrorism" (i.e., poverty), I accuse the Left of not going to the root cause of poverty (i.e., oppression). Throwing money at the Middle East will solve nothing if the dictators soak it all up. But I have come to doubt that terrorists are motivated solely, or even primarily, by poverty. After all, the vast majority of terrorism comes from the Muslim world, but the Muslim world does not have a monopoly on poverty. Central America is poor. Africa is poor. India and China are poor. Still, I can't remember the last time I heard of a Chinese or Congolese terrorist. Professor Sean Wilentz of Princeton says, "To say that poverty explains terror is to slander those caught in poverty. [Terrorists] are not the oppressed, but they are the parasites on oppression." He further concludes that, after looking at the biographies of the 9-11 hijackers, "money, education, and privledge" are more likely to cause terror. Osama bin Laden comes from one of Saudi Arabia's wealthiest families. It is sometimes said that Osama bin Laden's fortune is about $300 million. That is a myth. That is how much he would be worth if he had not left his powerful family years ago to take up Jihad against the West. A better estimate is that he is worth about $40 million. Still not a paltry sum. Yes, he has lived much of his life in the rough terrain of Afghanistan, but that is a life he chose. Bin Laden is also educated. He received a civil engineering degree from King Abdul Aziz University in Saudia Arabia in 1979. 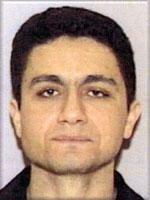 Mohammed Atta is the most famous of the Septmeber 11th hijackers. His "Hamburg Cell" of terrorists did most of the planning for the attacks. It is called the "Hamburg Cell" because it was based in Hamburg, Germany. Atta met other Muslims at the Technical University at Hamburg-Haburg. At this point, Atta already held a degree in architecture from Cairo University in Egypt. His compatriots were all enjoying the lifestyle that a welathy Western European nation could provide them. Hamburg is the second wealthiest city in Europe, and Atta was living with a German host family. Again, Atta and his co-conspirators were being educated and were living a lifestyle far above what they would have been living in their native lands. Plenty of experts agree that poverty is not the root of terrorism. University of Pennsylvania's Professor Marc Sageman has compiled one of the world's most extensive databases on terrorists. He was surprised to find out how wealthy and educated most terrorists are. Studying four hundred terrorist profiles, he was looking for common bonds that might explain their behavior, just the same way he had done as a forensic psychiatrist studying run-of-the-mill murderers. Sageman reveals, "...three quarters of my sample came from the upper middle class. The vast majority--90 percent--came from caring, intact familes. Sixty-three percent had gone to college, as compared to 5 or 6 percent that's usual for the Third World. These are the best and brightest of their societies in many ways." Among Sageman's sample, he finds terrorists with backgrounds in science and engineering. He finds policemen and mechanics. Nasra Hassan corroborates Sageman's point. Hassan spent three years (1996-1999) interviewing Palestinian terrorists in the Gaza Strip. "None of them were uneducated, desperately poor, simple-minded, or depressed. Many were middle-class, and unless they were fugitives, held paying jobs. Two were the sons of millionaires." Princeton economist Claude Berrebi studied the profiles of 285 Palestinian suicide bombers. He found that sixty percent had attended or completed college, compared to just twenty percent of the Palestinian population. Terrorists do not come from the lowest ranks of society. They are not the victims of a grinding economic system, merely lashing out. They are middle-class or higher. They are often students, and many have studied at Western universities. Most have travelled extensively in the West. This is not cheap. This all makes a lot more sense to me now. When I was a soldier driving my humvee in Iraq, I was often told to keep an eye out for expensive cars. Though I was never attacked on the highway, I did notice a disproportionate number of dirty looks coming from the guys in the shiny black BMW's. This is not a coincidence. These were the former Ba'athists. They were the elite few who had profited handsomely from the Saddam regime. They did not welcome liberation. In fact, they're still angry about it, and they're working dilligently to return to the Age of Ba'athism. Not every terrorist in Iraq is a Ba'athist. Others are aligned with the governments of Iran or Syria. Some are part of bin Laden's al-Qaeda network. Still others are associated with various Palestinian terror groups, and some are followers of radical cleric Muqtada al-Sadr. They are not monolithic. But despite their differences, they have one thing in common--they fear the new Iraqi state. Just as Erich Honecker feared the "Polish germ" infecting Europe, they fear the "Iraqi germ" infecting the Muslim world. All of those purple-fingered Iraqis are making despots all over the Middle East wonder if their population might like to vote some day as well. If the dominoes fall in the Middle East, they have good reason to believe that they will be crushed beneath them. They are not "freedom fighters" as numerous Leftists have described them. They are guardians of the Middle Eastern status quo--tyranny, oppression, and poverty. Like the Ba'athists, they are the few who prosper while the masses suffer. They represent Islamic fundamentalism. Yes, terrorists usually come from oppressive societies. But by and large, they are the wealthy and the oppressive, not the poor and the oppressed. For this reason, I support the war in Iraq. To date, 2188 American troops have died. Each death is tragic. But as an Iraqi Freedom vet myself, I believe that the best way to honor the fallen is to complete the mission. The struggle is worth it, just the same way it was worth 407,300 American servicemen to free the world from Hitler, Mussolini, and Tojo. Defeat is not an option. Seeing the mission through, supporting those who resist Islamofascism, and hopefully knocking down the first in a series of dominoes is the course we should be taking. Beyond speculation, this is the best course of action for the people of the United States, the people of the Muslim World, and the people of the planet Earth. Great post. I think the whole "terrorism as byproduct of poverty" paradigm is probably one of the biggest misconceptions in the West, shared by many a conservative and leftist alike. It really doesnt take an in-depth examination of terrorists to see that this is CLEARLY not the case. Terrorists are usually rich and well-educated. Terrorism, as caused by Muslims, is simply a byproduct of thier cultural tradition- thats what no one wants to admit. Point well made. Just a suggestion: Try to cut down on the length of your posts. The longer it is, the less likely people are going to read it all. Just like "poverty" in America is the cause of all the crime . . . it is a small playbook the left works from.